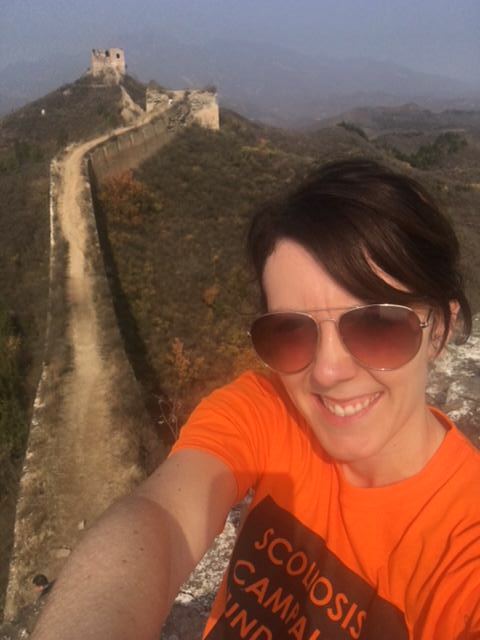 I’m slowly making my way through blogging about my Great Wall of China trek that I did to raise money for the Scoliosis Campaign fund a few weeks ago. 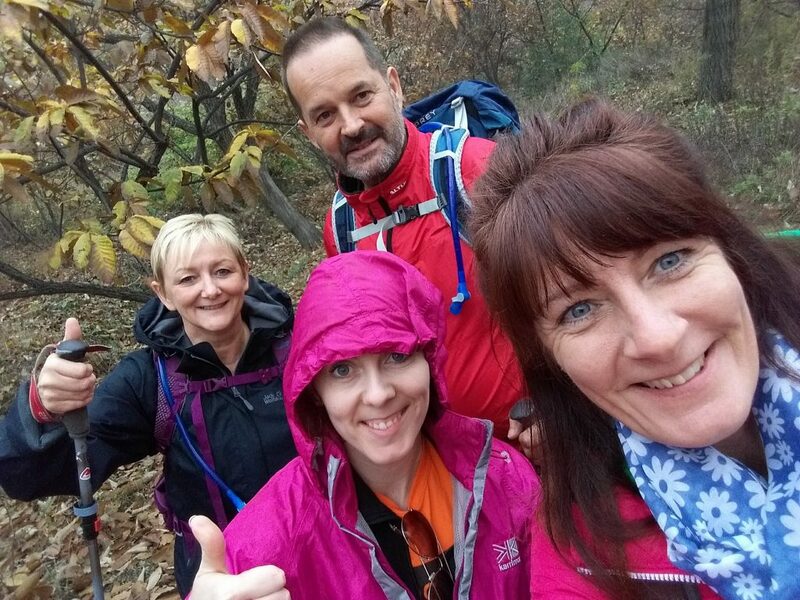 By doing this trek, I have managed to raise over £1000 for the Scoliosis Campaign Fund which I am incredibly proud of. 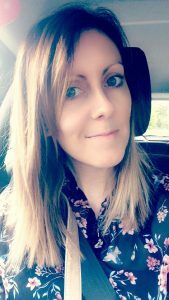 If you’d like to support me and everyone who suffers from scoliosis, you can still donate to my page by clicking here. So, onto day 4 and for me, the toughest day of the week. 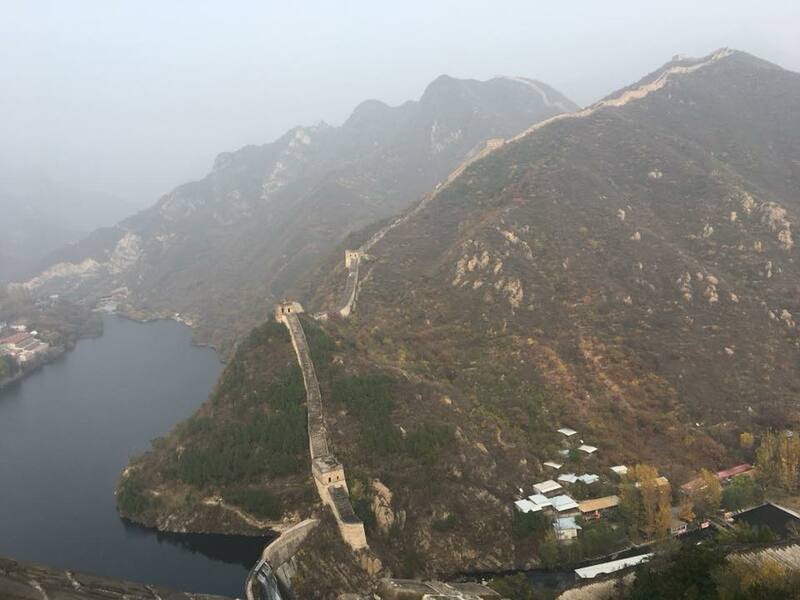 This section was called Huanghuacheng, also known as the “Yellow Flower” section due to the beautiful yellow flowers/trees that surround this section of the wall. 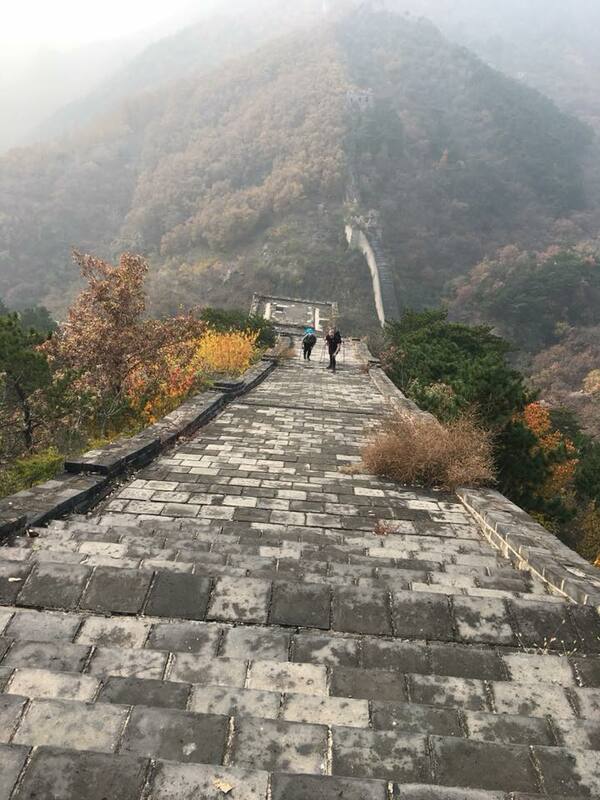 We drove to a small village called Xishuiyu, where the trek started with a very challenging uphill climb through a thick forest to get up onto the wall. This part was rocky and slippy underfoot, especially because we had the first bit of rain of the week. 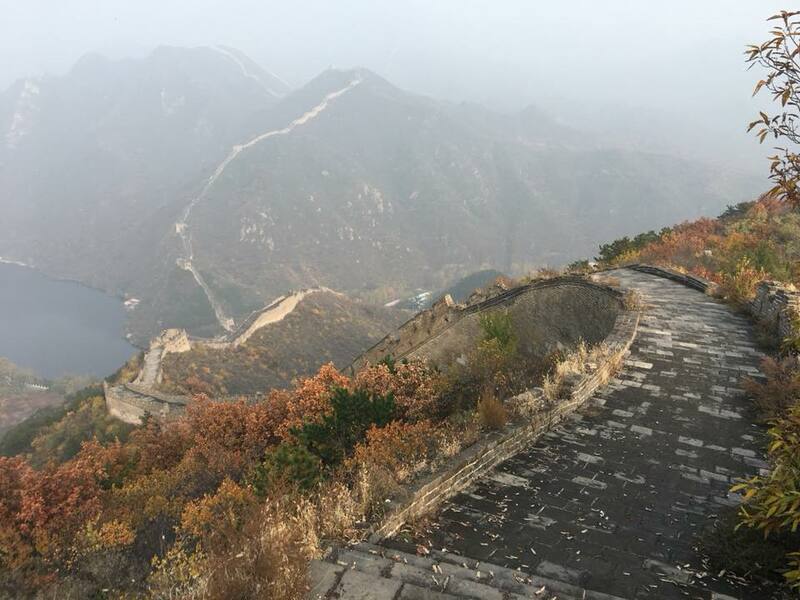 China Trek Day 4 – rain will not stop us! 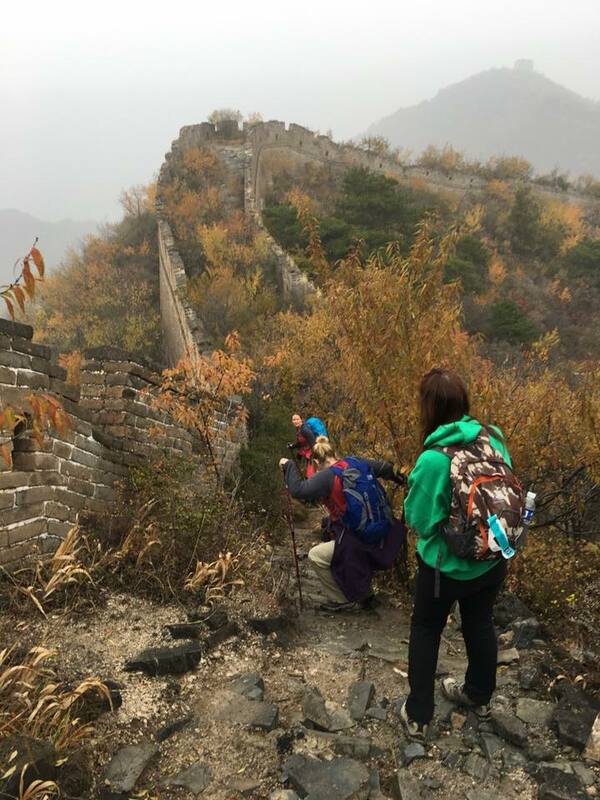 We kept going for around an hour or two until we reached the wall, which was very old and one of the most challenging parts to walk on. The next part was VERY challenging. 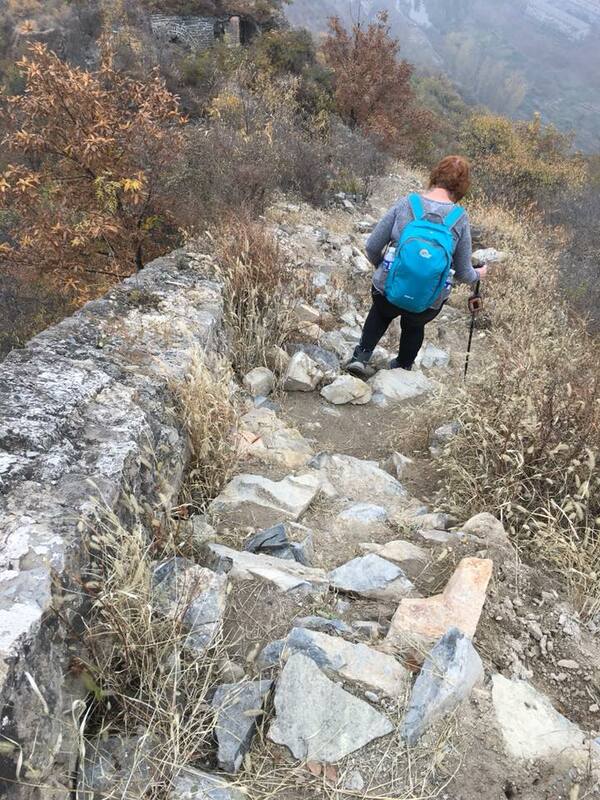 The terrain was very rocky, steep and slippy and there were trees and plants growing all over the wall. 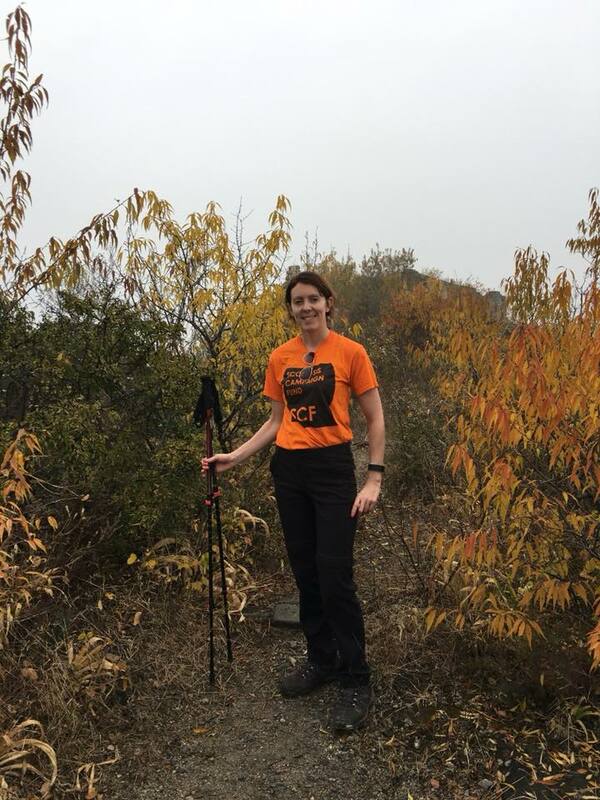 China Trek Day 4 – steep! My biggest fear was slipping as it was pretty treacherous in parts and there were bits where we actually had to scramble up and down the slippy rocks. 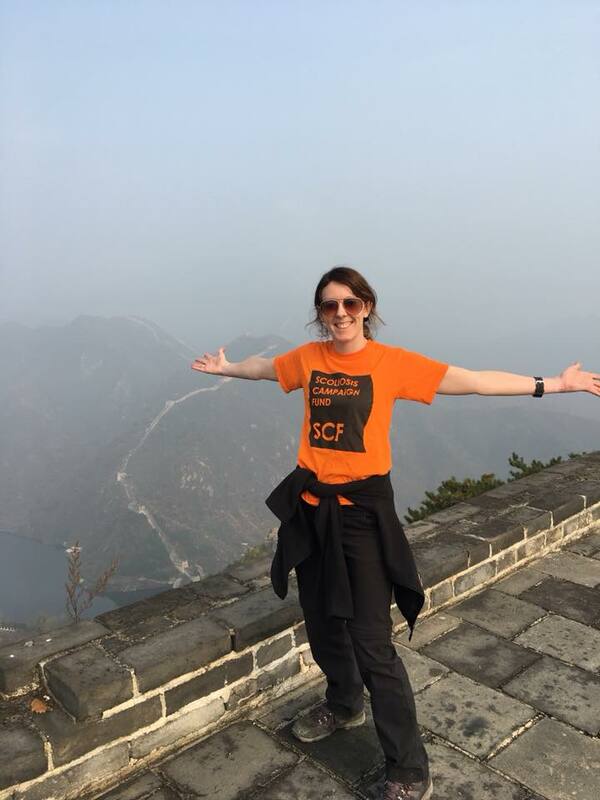 My Mount Snowdon training definitely came in useful here I can tell you! 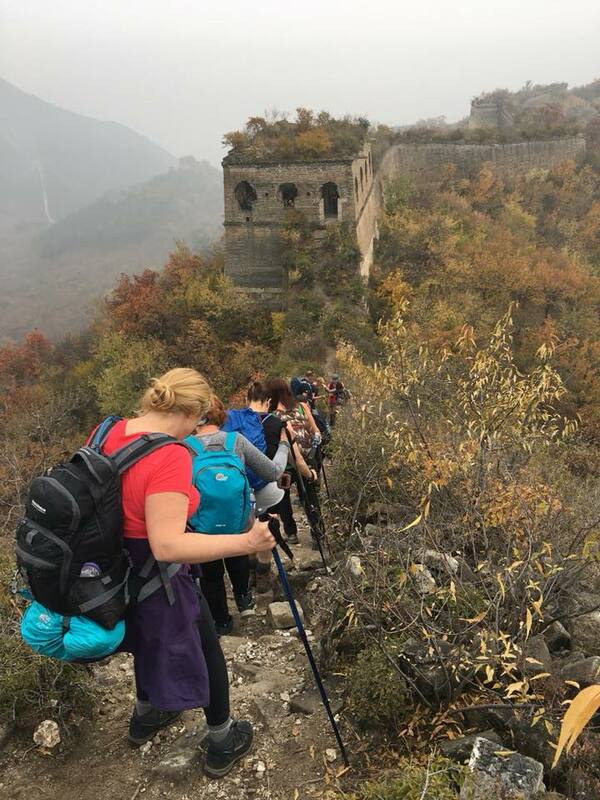 We kept going until we reached some verrry steep steps (there is definitely a theme here…) and then we had a break for lunch. 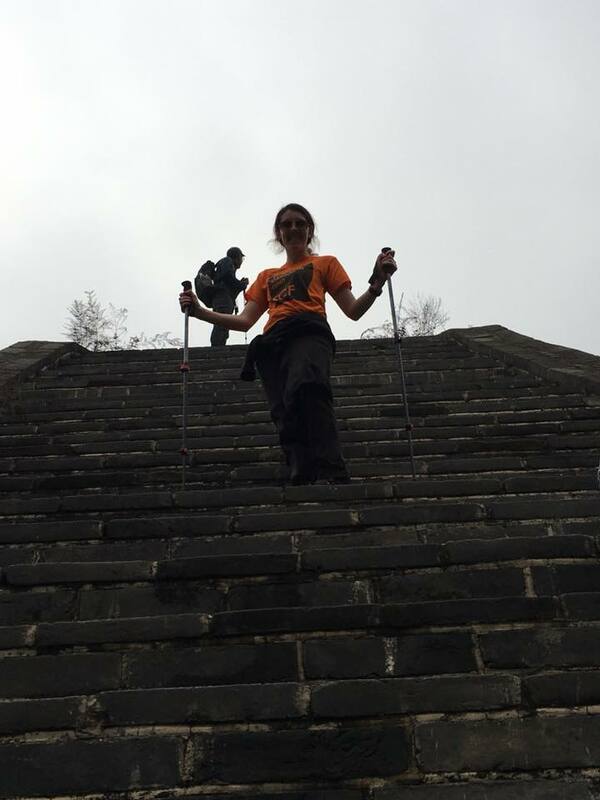 China Trek Day 4 – steep steps! Lunch today was rice for me (as a vegetarian) and “Hot Boxes” for everyone else, which were basically curry and rice which heated themselves – pretty cool. I took a few pictures while I was up there but in all honestly I was too scared to stop and turn round to take more. I don’t suffer with a fear of heights usually but I got a bit of vertigo up there I must admit.. if you don’t like heights then you would not like this! 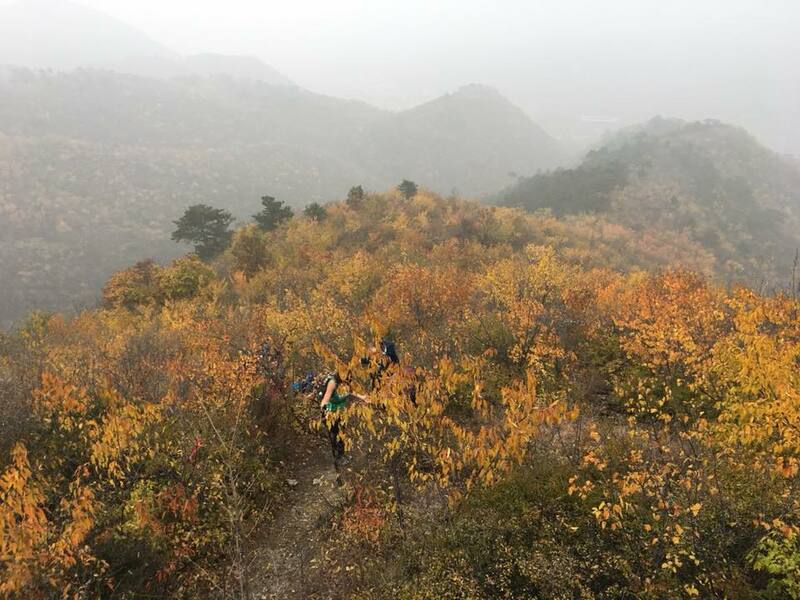 When we reached the top though the views of the Xishuiyu Reservoir and the surrounding mountains and wall were just stunning, so it was worth it. However, we had to get down and for me this was the most terrifying bit of the whole trip! The descent down was a series of almost vertical steep slopes. There was nothing to hold onto and it was quite slippy, as it had rained earlier. To get down we were told to walk leaning backwards to try and keep our balance. I nearly slipped a few times! 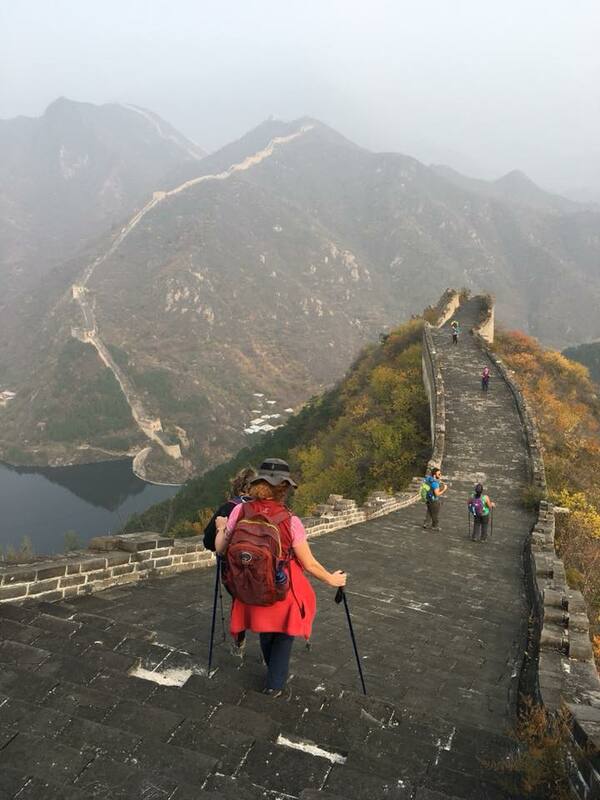 My walking poles saved my life here, literally. I didn’t take many pictures here as I couldn’t really safely stop but the below may give you an idea, although they don’t really do the steepness justice. It honestly looked worse when you were there believe it or not! It was utter relief to make it down in one piece to the waiting bus and a beer at the bottom I can tell you! So it was the end of day 4 and back onto the bus for the journey back to the hotel. 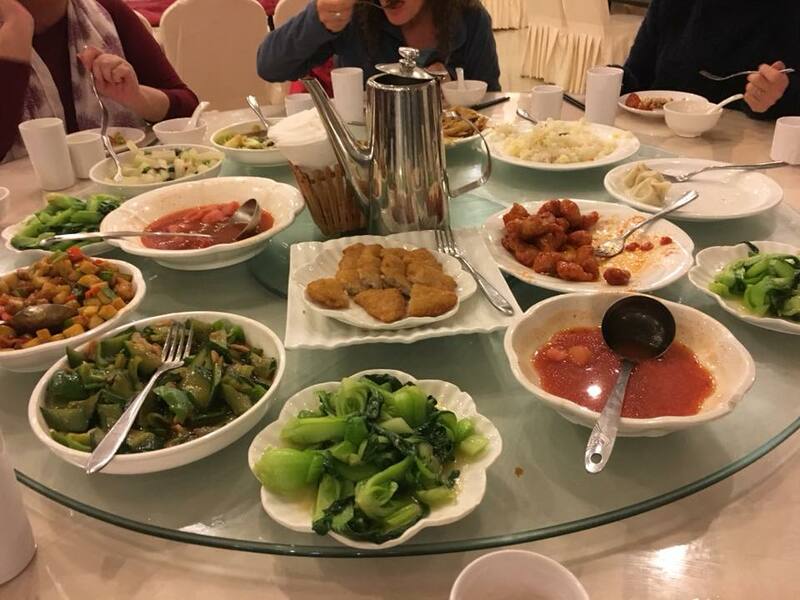 Tonight we visited a Jade factory and had our dinner there which was interesting. A few people bought some Jade jewellery, which was beautiful, but I’m just tight and didn’t want to pay for anything haha. 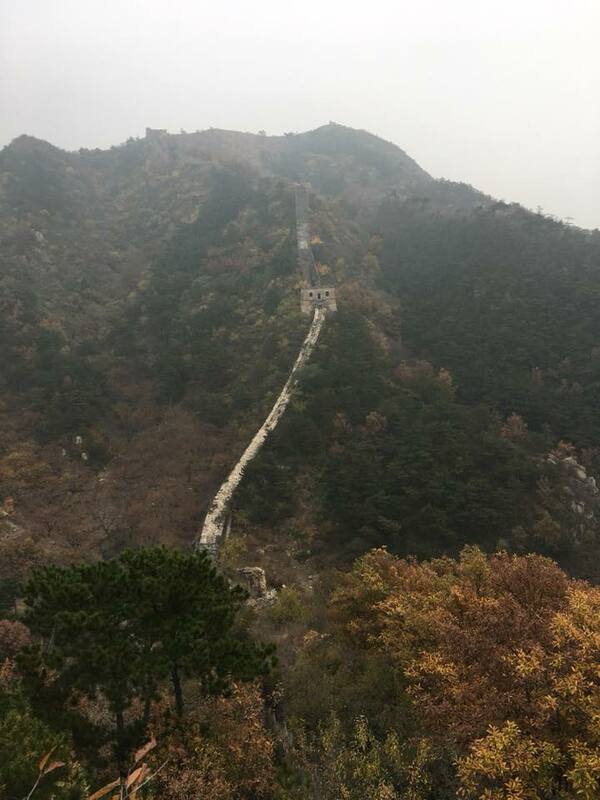 We then headed back to the hotel for a few drinks before heading to bed for the last day of trekking – day 5 Badaling.